Street Art Chat was born out of love. 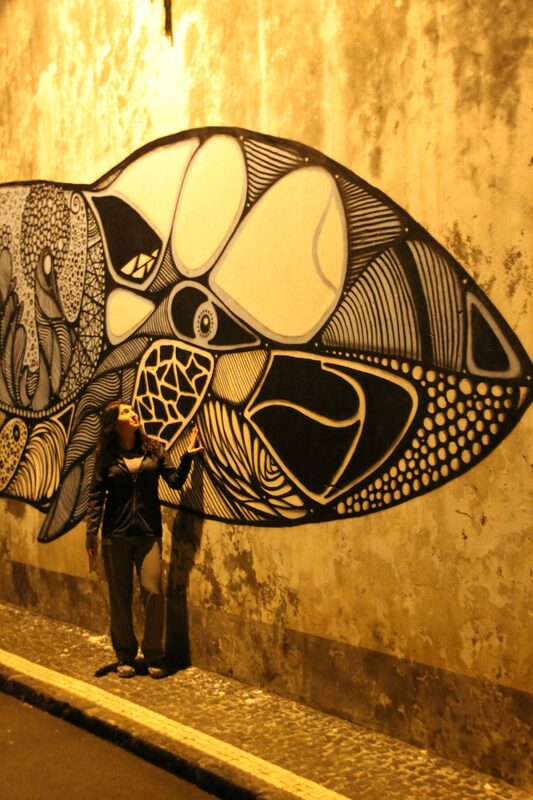 We first discovered street art while we were visiting the Azores. Even in this beautiful location, the undeniable artwork of the murals in the Azores captured our attention. The trip might have ended, but the love of street art continued. Now every trip includes scheduled time to explore the local street art scenes and find as many works of art as possible. When we are not finding new street art, we are usually talking street art on social media. The natural progression of this sharing on social media, led to the start of a Twitter Chat – Street Art Chat. We have been overwhelmed by the response and requests from like minded lovers of Street Art for more content. Street Art Chat.com is our latest development to provide a platform to share and connect with all facets of the Street Art world. Be sure to stop by often, as more and more content will be added all the time, and be sure to sign up for our newsletter to not miss out on the latest happenings!